On Dec 22, 2017, the Tax Cuts and Jobs Act was signed into law. There are many provisions that may impact small business owners. Let’s talk about five areas that I feel may have the most impact OR may be the most misunderstood of the new law. Please note, my comments on this are general in nature and not meant to be tax advice. You really need to talk to a tax professional to understand how the new tax law will apply to your own situation. The penalty for not having minimum essential coverage for your health insurance IS NOT GONE in 2018!! If you don’t have health insurance for this year, be prepared to pay the shared responsibility payment if you don’t have a coverage exemption. In the past, the top rate for corporations was 35% and the lowest rate for corporations was 15%. This plan originally left a lot of business owners wondering if they needed to change entity types to be taxed as a corporation. So, our friends in Congress added something to give other business entities a tax break as well…. In an effort to level the playing field after knocking down the corporate tax rate to 21%, there is a new deduction available to Sole Proprietors, Partnerships, and S Corporations that should bring some nice savings to those types of small business owners. And FYI – if you own rental properties, this will apply to you too! This is a confusing calculation that takes into account your net business income, your taxable income, your industry, and potentially the wages you’ve paid to your team and the cost of your assets. The most important thing to know about this deduction is that it’s available for 2018, has a lot of exceptions, calculations, and rules around it that are outside the scope of this post, and may save you money. You should be asking your tax professional about what the projected impact may be to your business. This is probably not something you want to try to calculate or plan for on your own! There is a provision in the tax law that has been around for years that allows business owners to write off the costs of certain assets in the year purchased, rather than having to depreciate them over time like you normally do when expensing fixed assets. In 2017, the most you were allowed to expense under Section 179 was $500,000. In 2018, that is increased to $1,000,000. There are also some favorable changes to bonus depreciation rules in 2018 which provides another option to fully expense things in the year purchased. As an example, the AICPA has recommended that several corrections need to be made to the bill – one of which is fixing the language that limits contributions deductions for certain taxpayers contributing items other than cash. It will be interesting, given our current political climate, to see how this works its way through Congress. 2. We are still waiting on IRS guidance. After a tax bill is passed, the IRS fills in the gaps about how the actual law will be handled. This is typically done via Treasury Regulations that interpret the law. 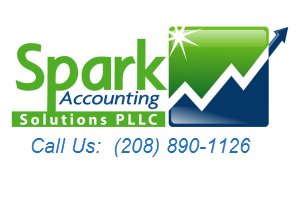 Reach out to us with any questions you have about the implementation of the new tax law, we’re here to help!